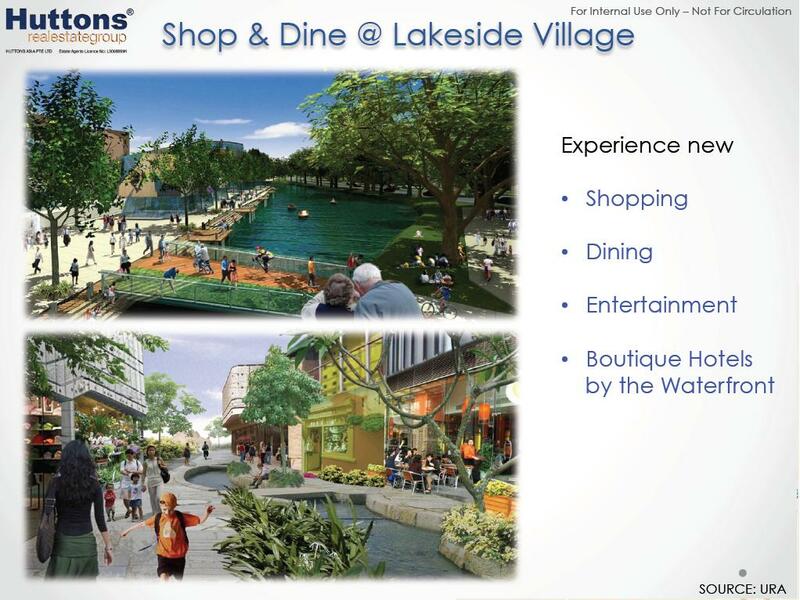 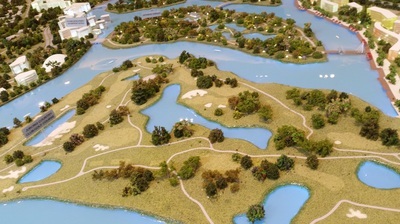 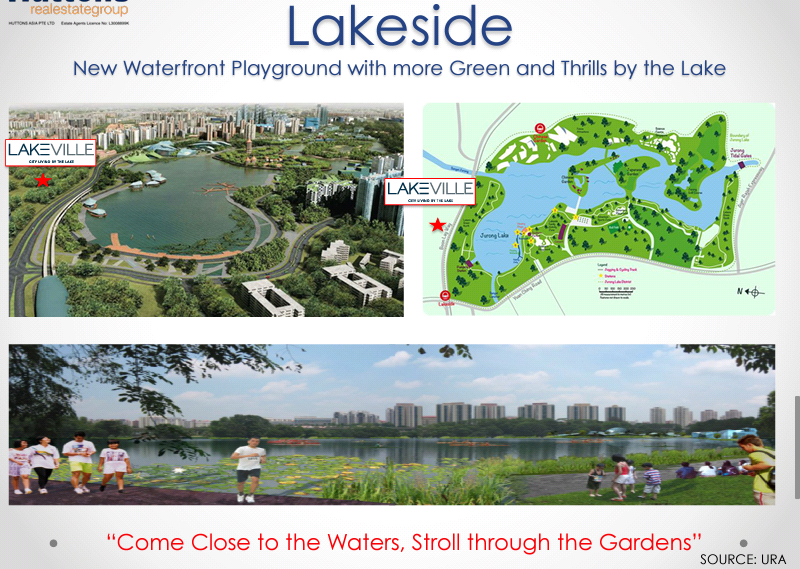 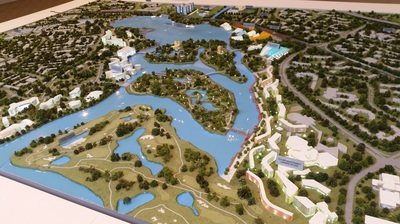 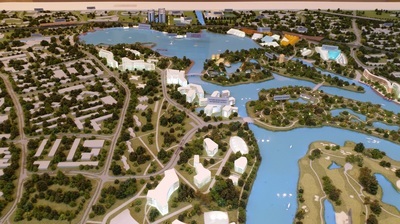 Lakeville is a new launch residential development by MCL Land in Singapore district 22. 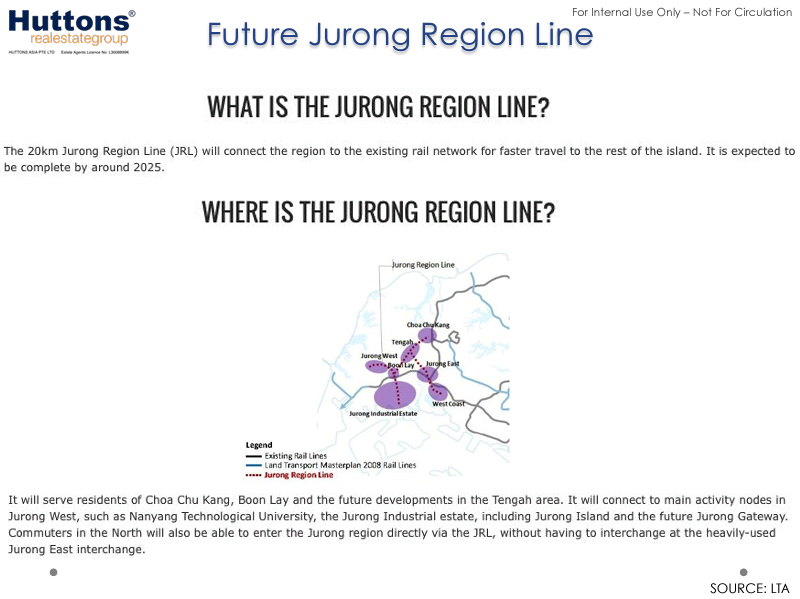 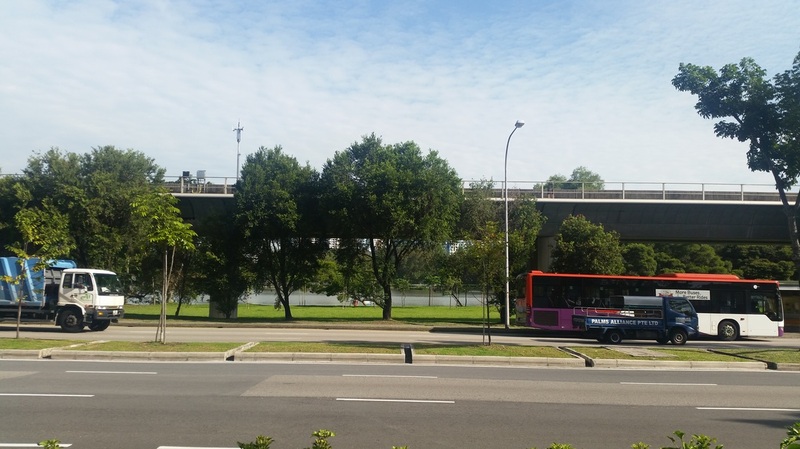 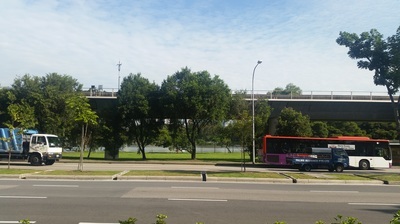 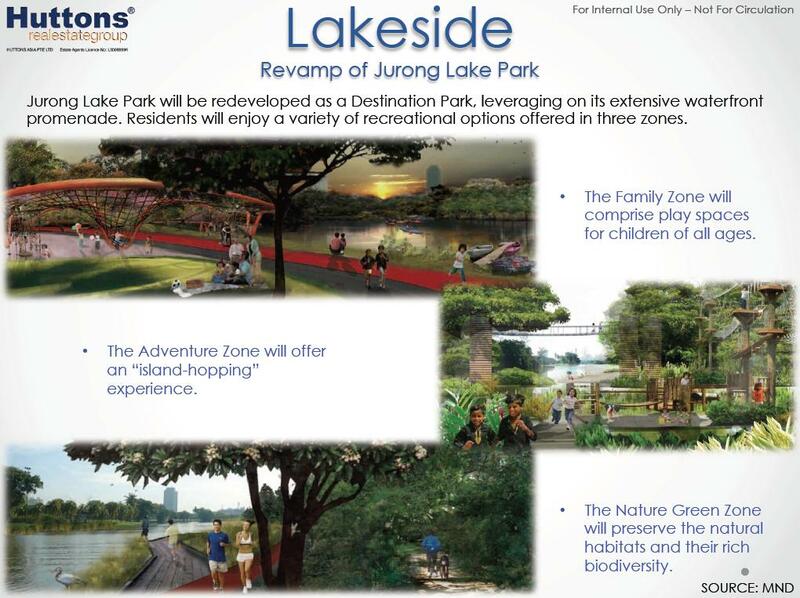 Lakeville is located at Jurong West Street 41, in the Jurong Lake District and within close proximity to both Lakeside MRT Station and Chinese Garden MRT Station. 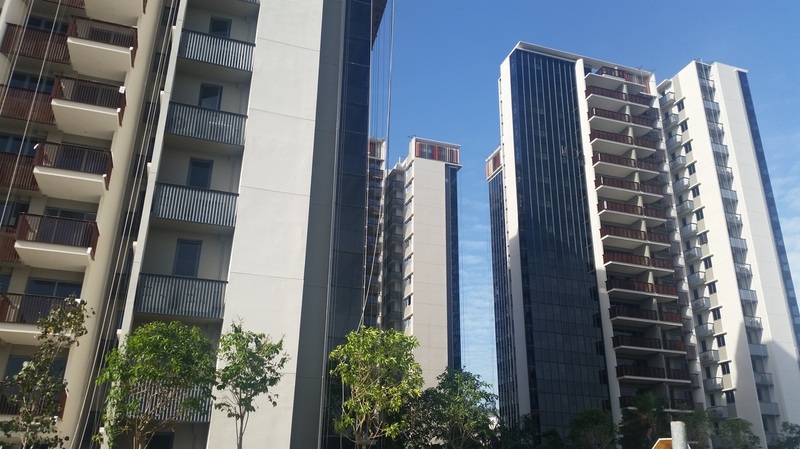 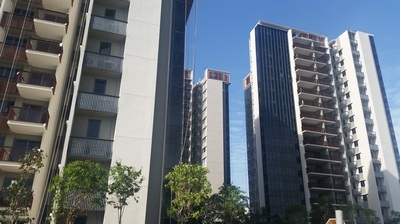 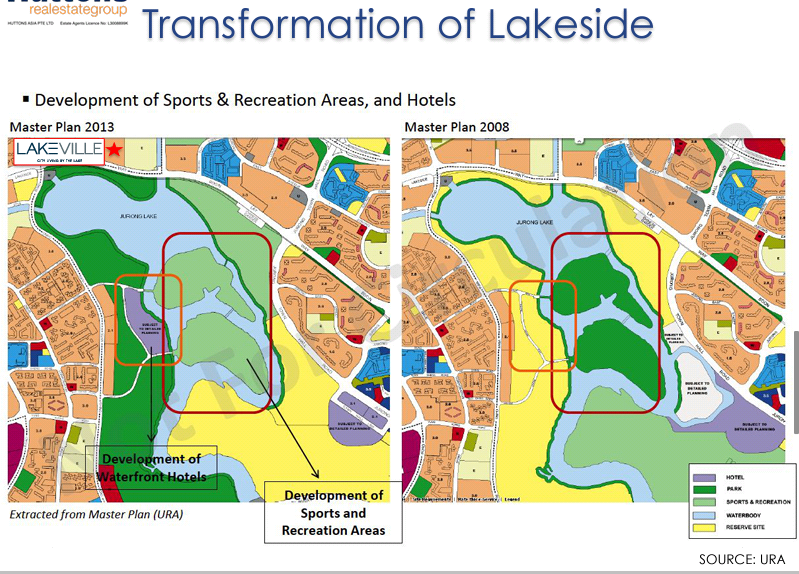 Lakeville is a 99 years leasehold condo made up of 6 blocks of 16 storey residential building with a total of 695 units. 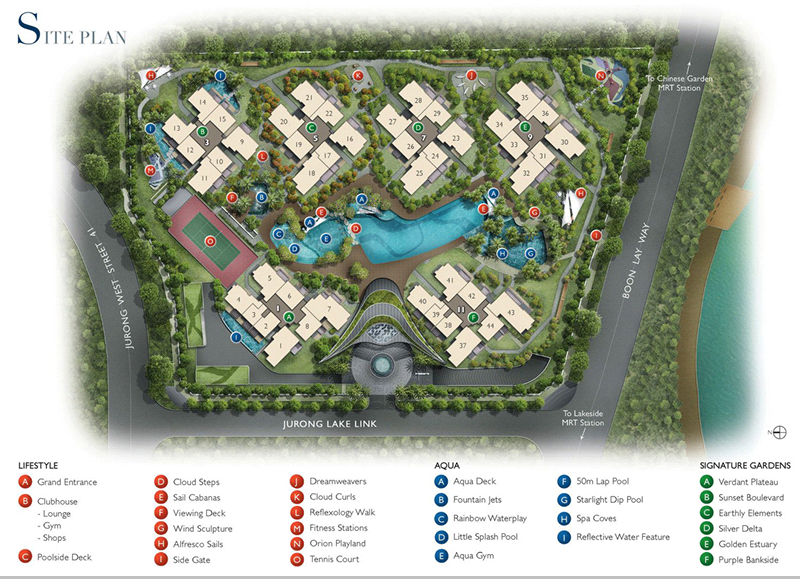 There is a wide selection of unit mix from 1 bedroom for couple or 5 bedrooms for large families. 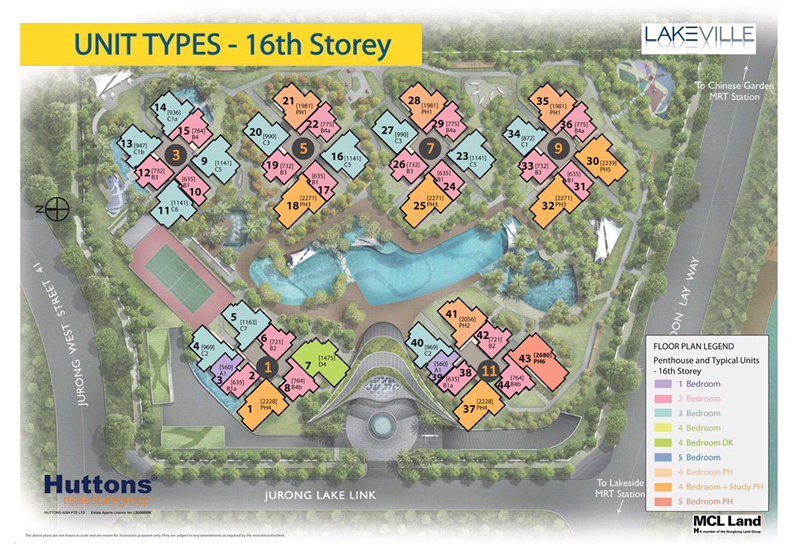 For buyers looking for rental income or multi generation living with privacy may consider the 4 bedroom dual-key suites. 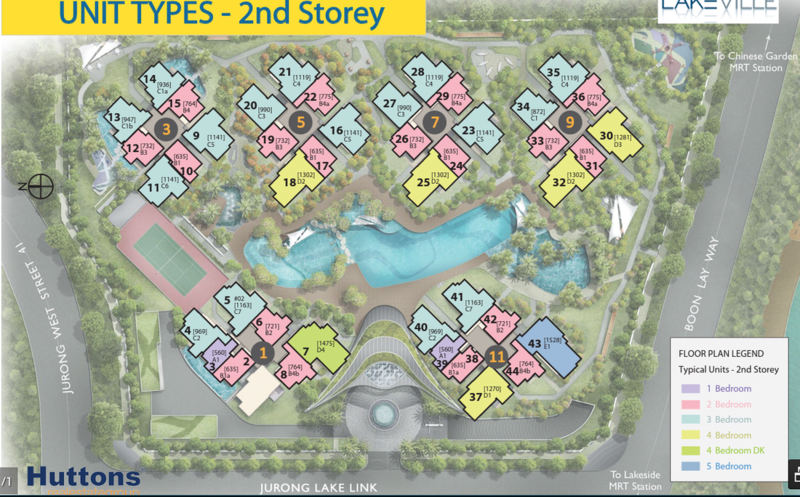 There is also 12 penthouse units available. 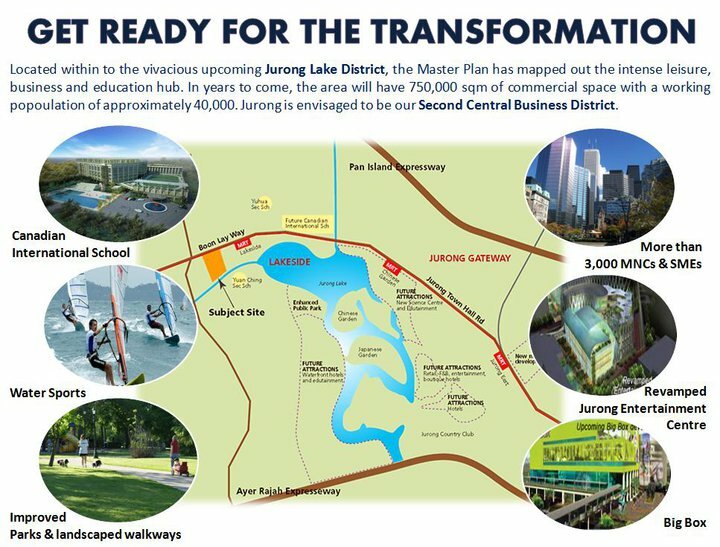 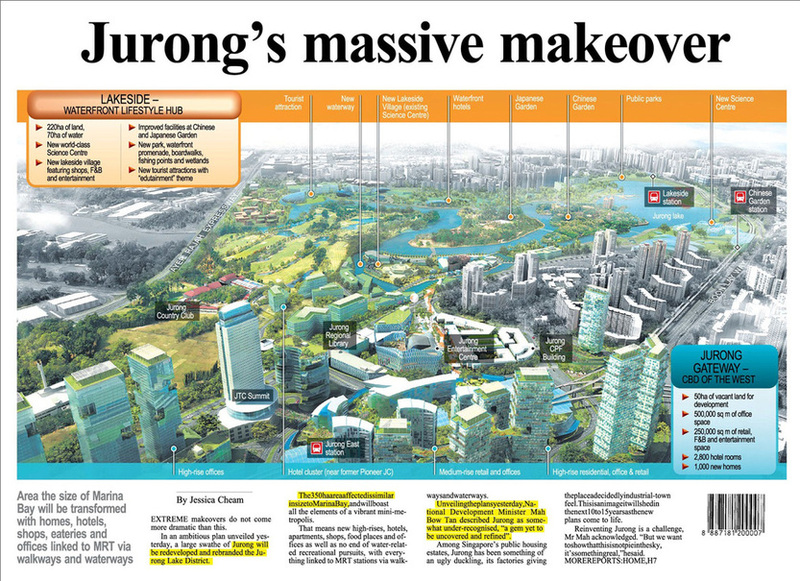 Amazing transformation for the Jurong Lake District makes Lakeville a very very attractive project to buy for investment or for own stay. 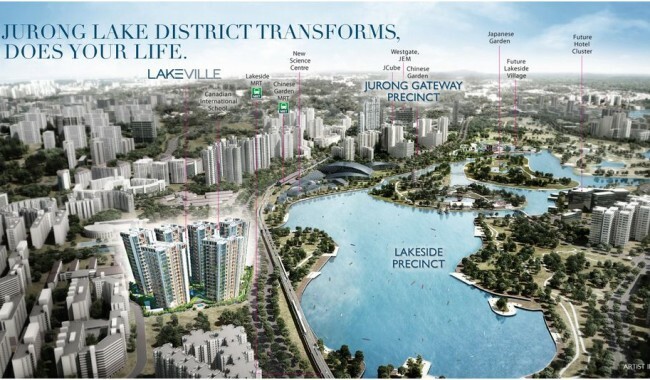 Being right in the heart of Jurong Lake District and only one MRT station away from Jurong East (new Business District and new Orchard Road), Lakeville not only promised you a quality home in a superb location, it also promises a strong potential of capital appreciation in the future following the development of Jurong Lake District. 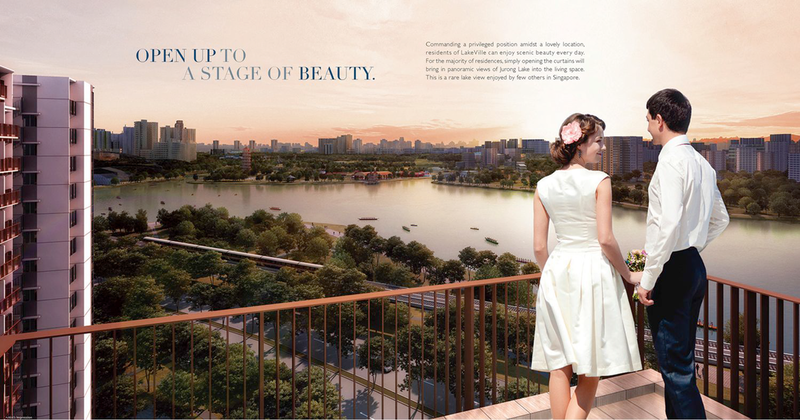 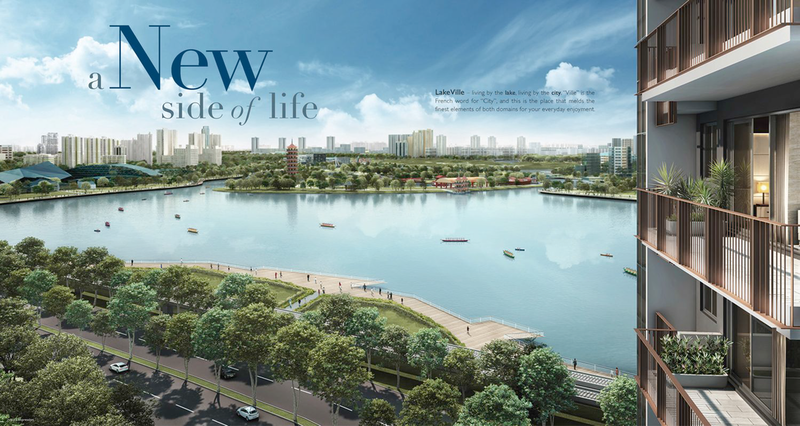 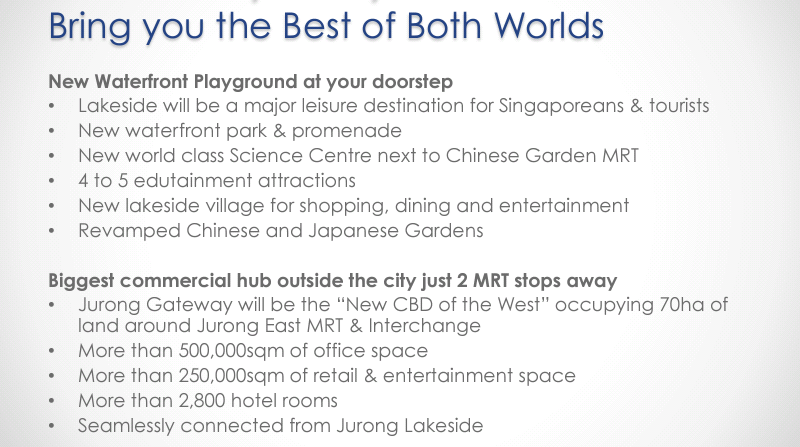 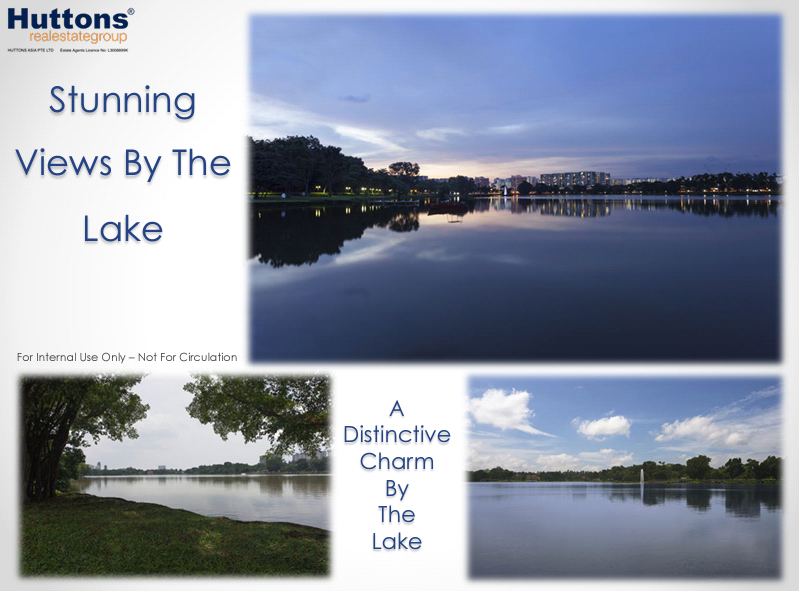 Mesmerised by the stunning view of Jurong Lake and enjoy the convenience brought to you by the surrounding amenities. 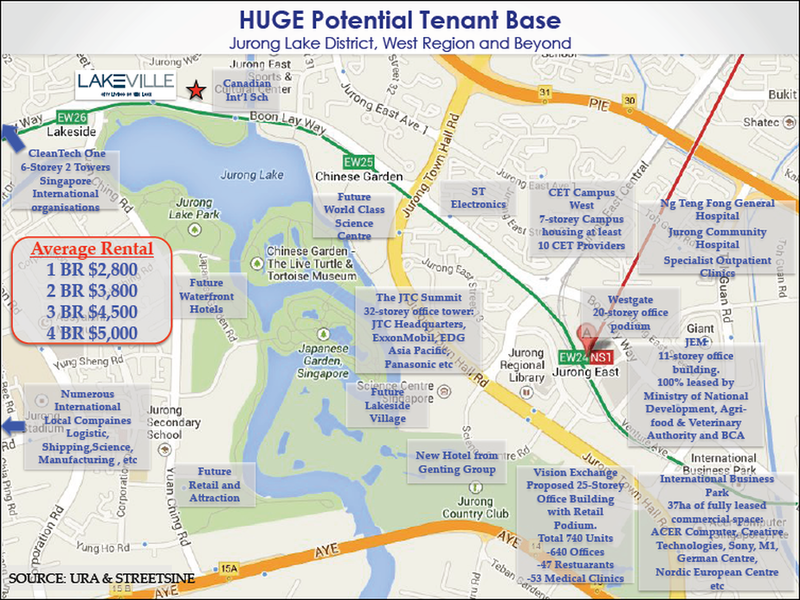 Enjoy strong rental income from the strong demand of prospective tenants generated from the estimated 3,000 offices which will be moving into this new business district. 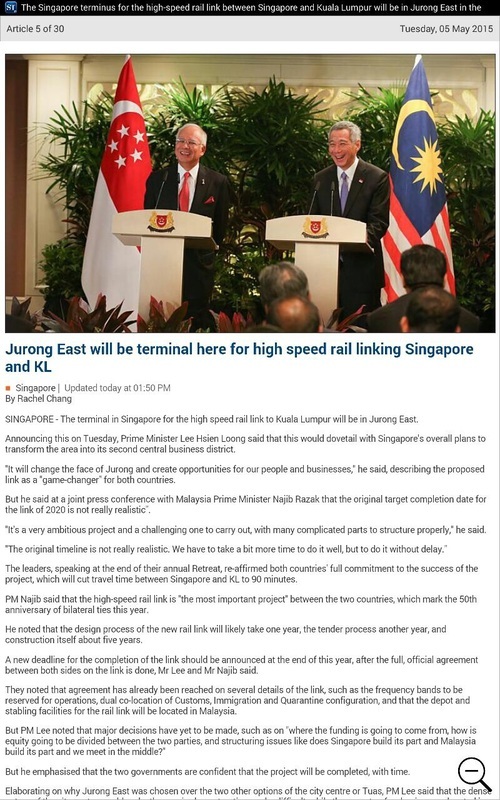 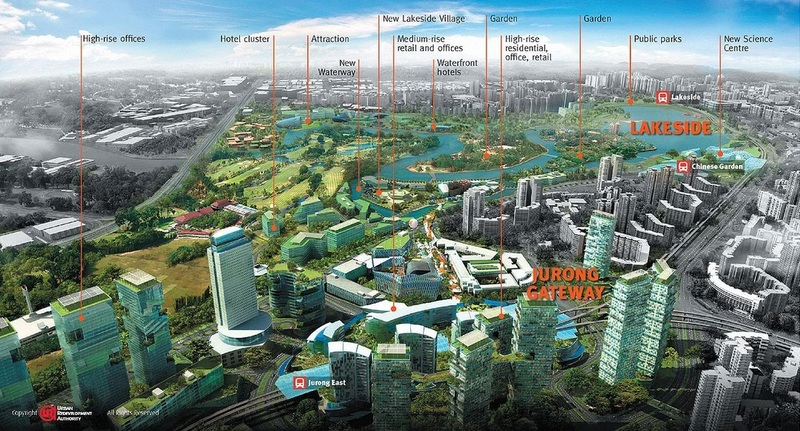 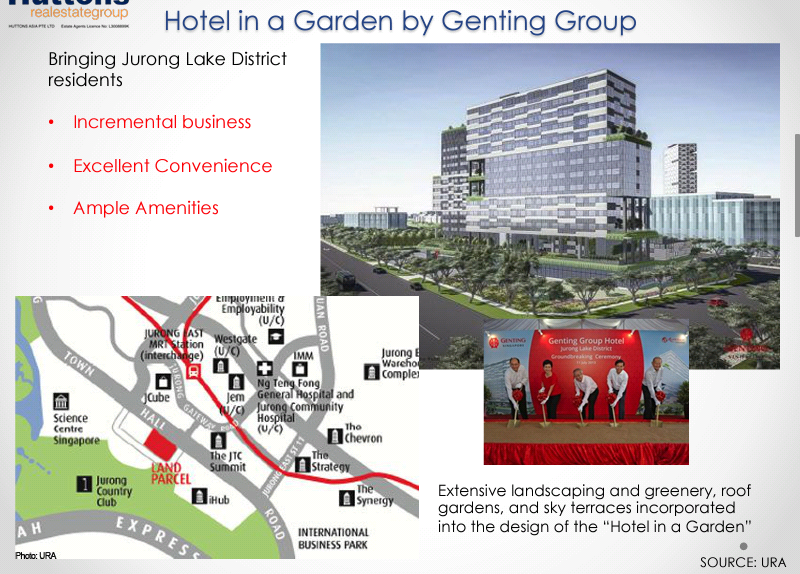 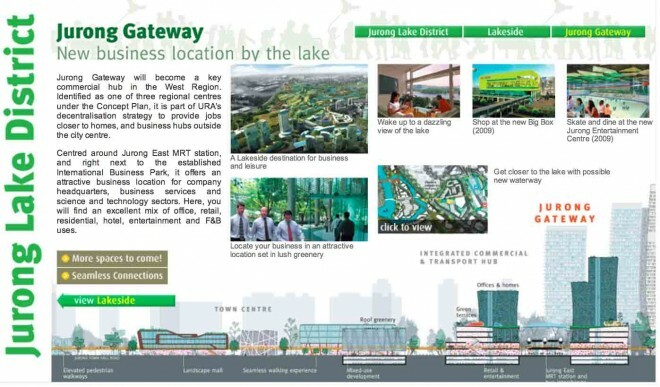 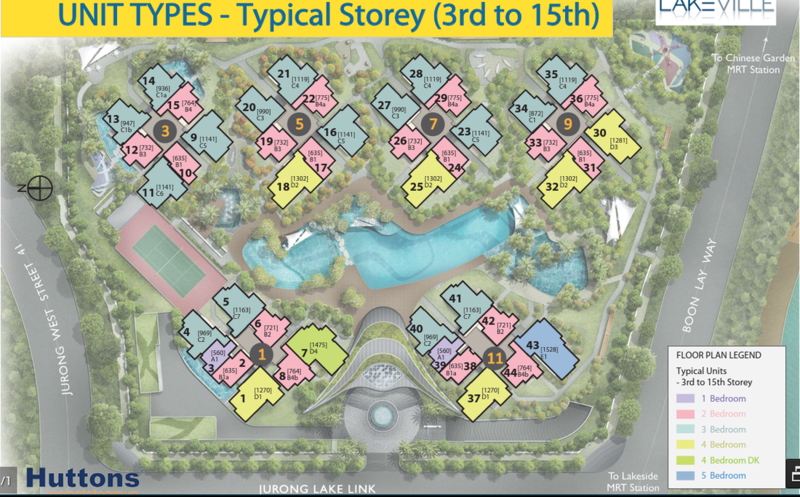 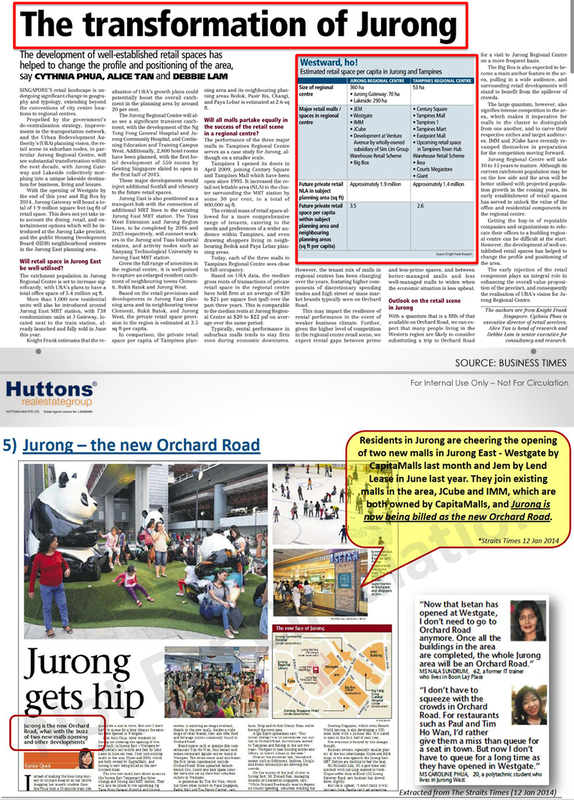 Following the success of J Gateway, also developed by MCL Land, Lakeville condo has been the top seller every month after the Prime Minister presented the plans and developments for Jurong Lake District during his National Day Rally Speech. 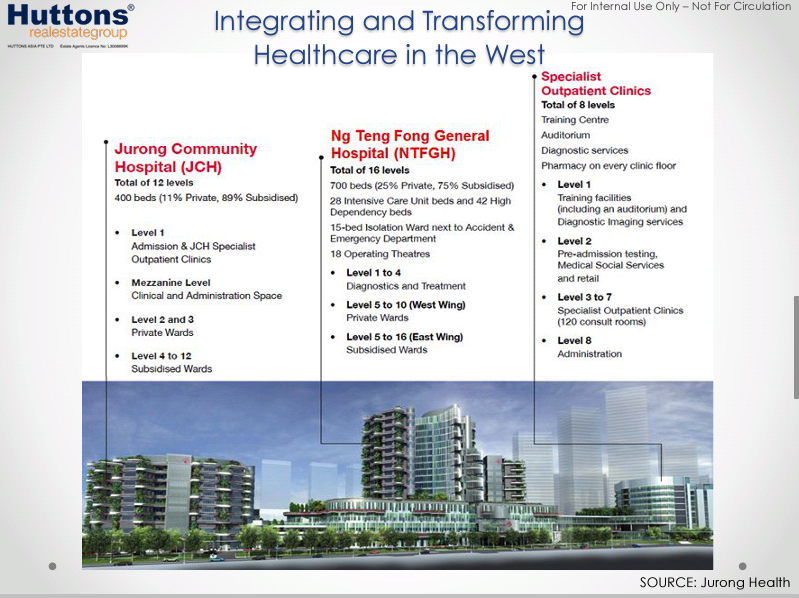 Healthcare needs are well taken care of at Jurong Polyclinic and upcoming Ng Teng Fong General Hospital. 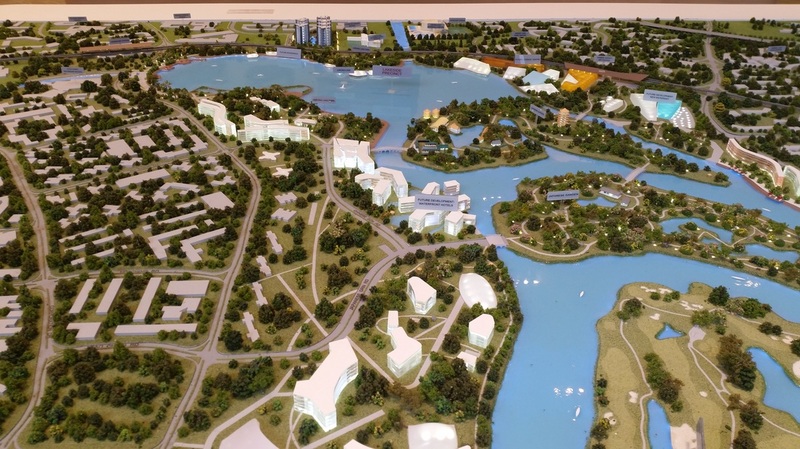 Lakeville is surrounded by a wide array of amenities to cater for daily needs and different lifestyle. 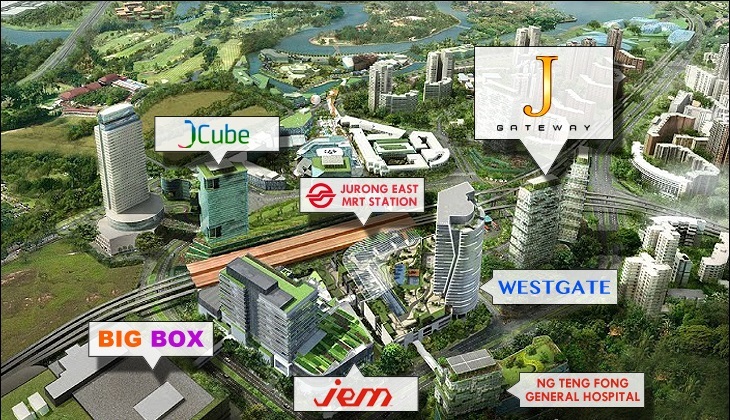 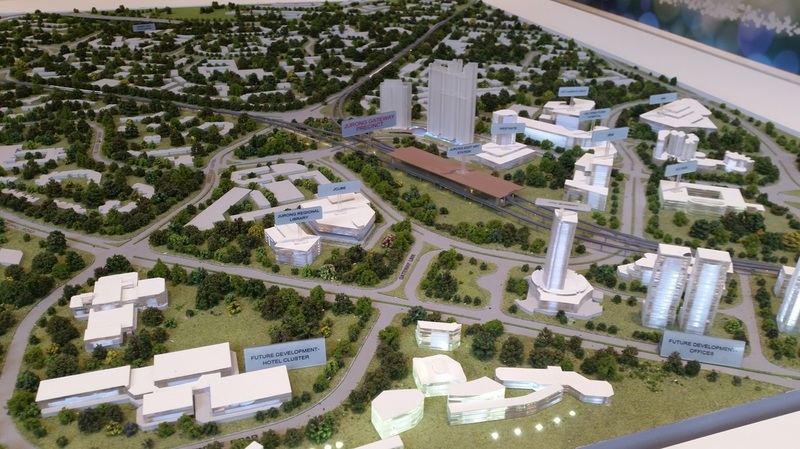 Shopping malls like IMM, JCube, West Gate, JEM, Big Box, which are 1 MRT station away or few minutes drive away, fulfill every expectation of a shopaholic and provide numerous retail and dining options. 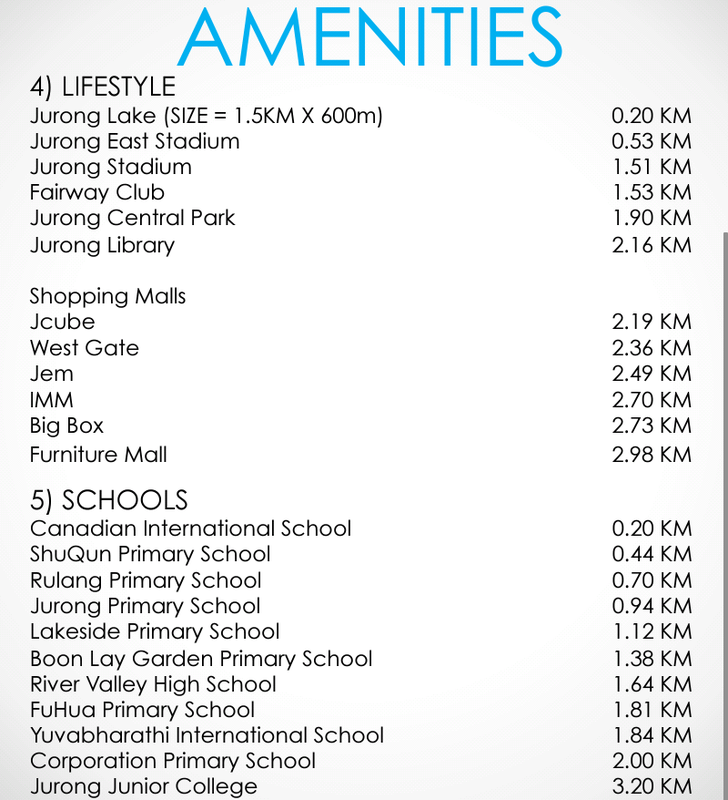 Grocery needs are available at nearby supermarket like Giant and Seng Siong Hypermart. 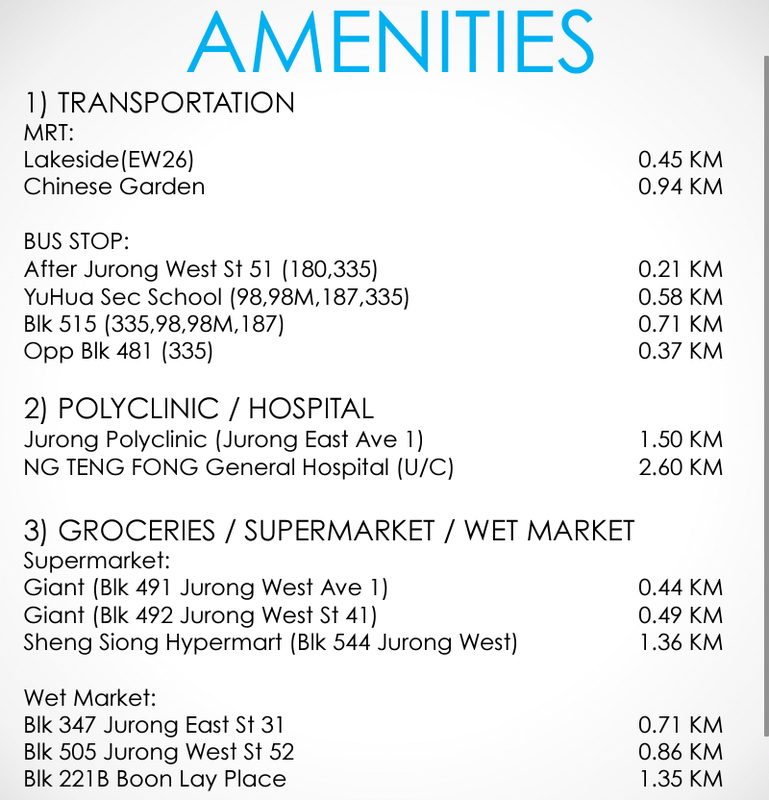 Wet markets are also available at Blk 347 Jurong East St 31 and Blk 505 Jurong West St 52 which are both within walking distance away. 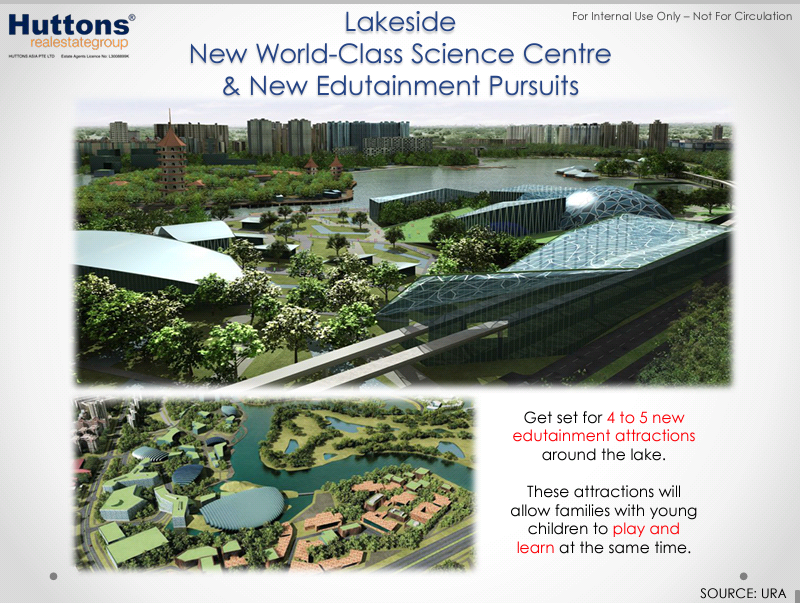 Lakeville is in close proximity to numerous reputable schools like River Valley High, Rulang Primary School and Shu Qun Primary School. 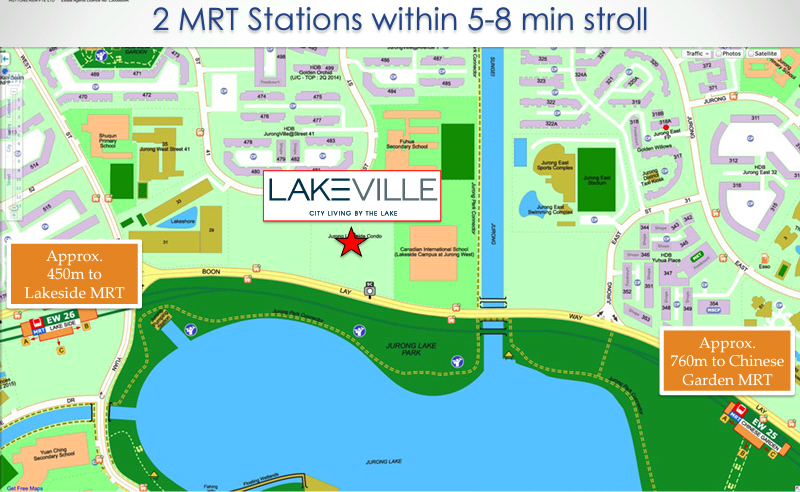 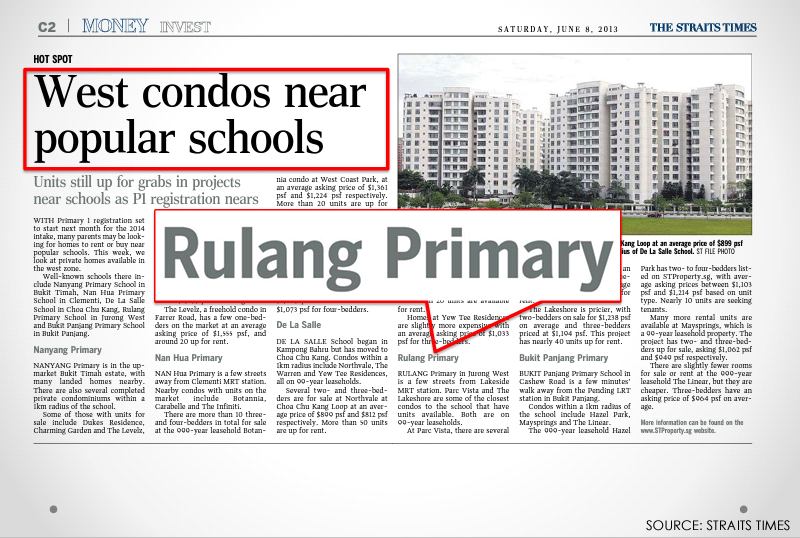 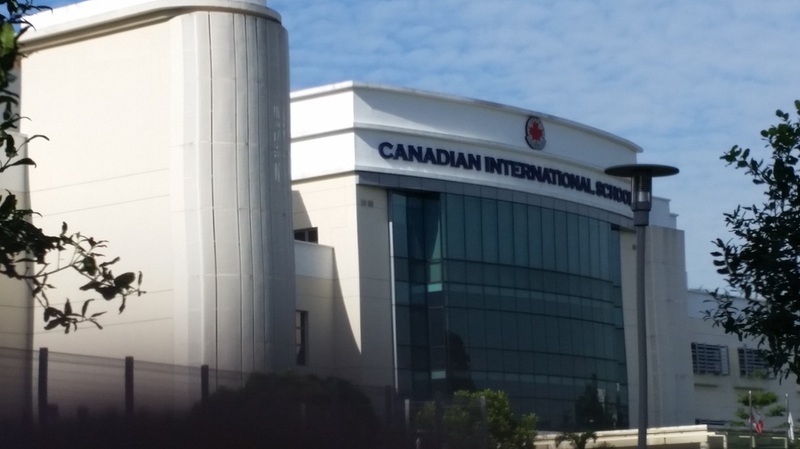 Local and International schools like Canadian International School, River Valley High, Shu Qun Primary School and Rulang Primary School are located near Lakeville condo. 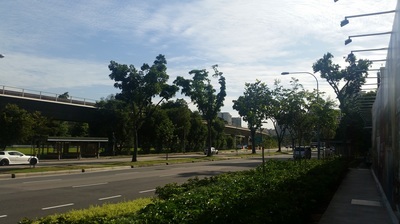 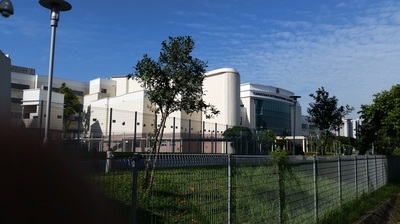 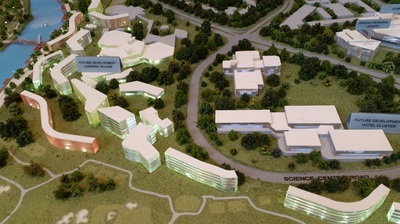 The Nanyang Technological University is also a short drive away. 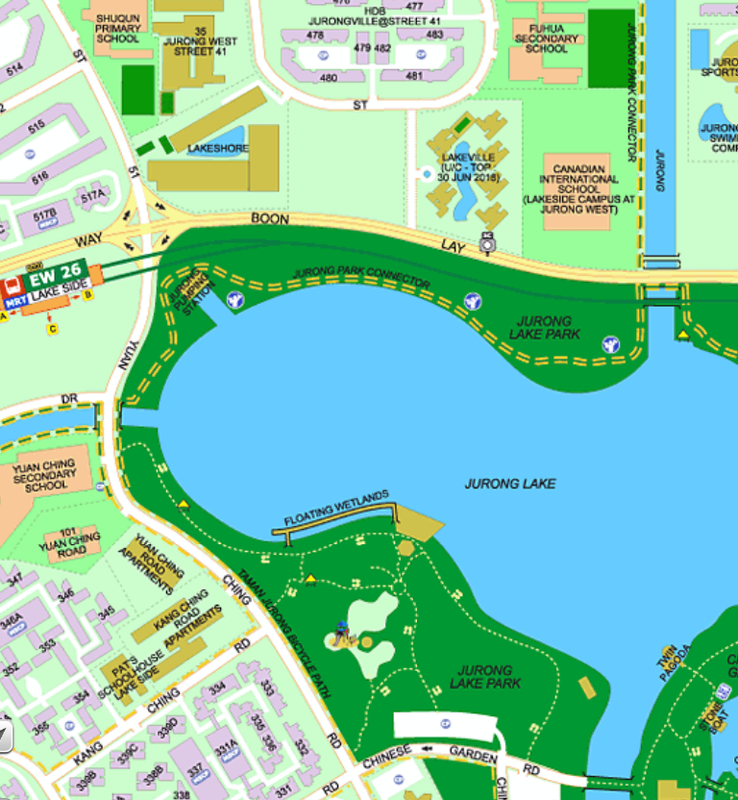 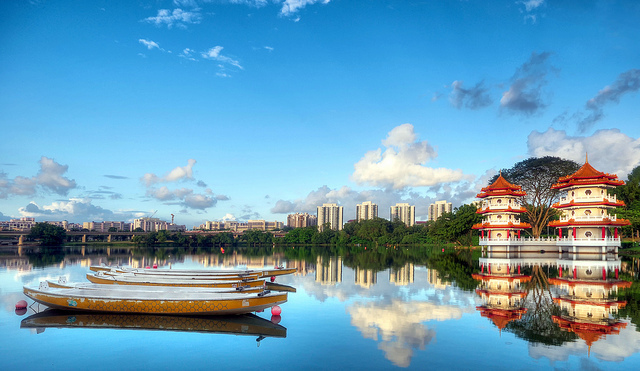 Enjoy a lazy stroll along Jurong Lake in the evening with your loved ones. 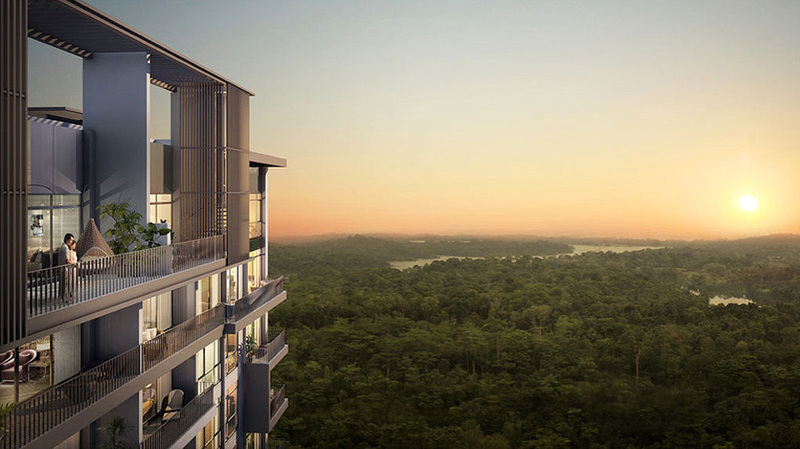 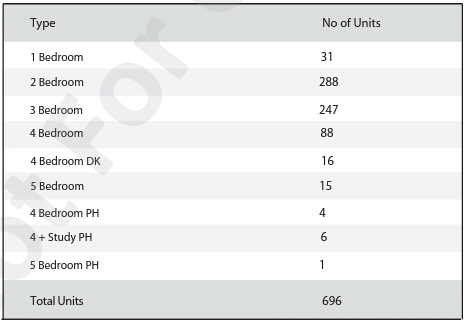 Lakeville - Sold Units as at 31 Jan 2016. 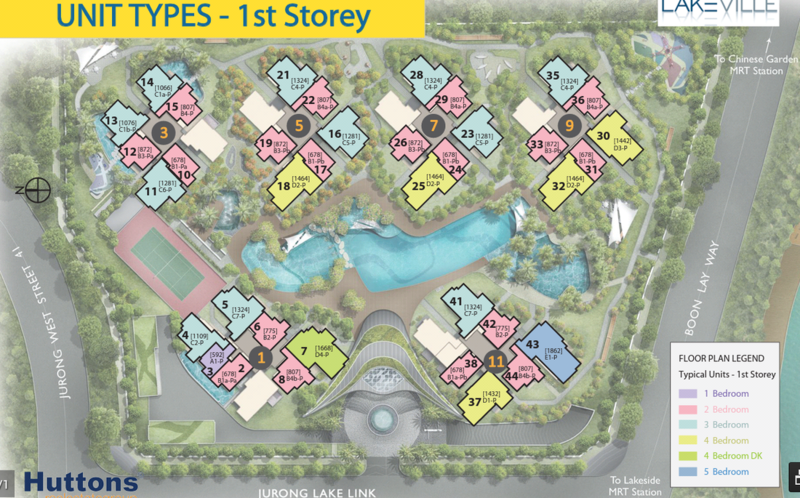 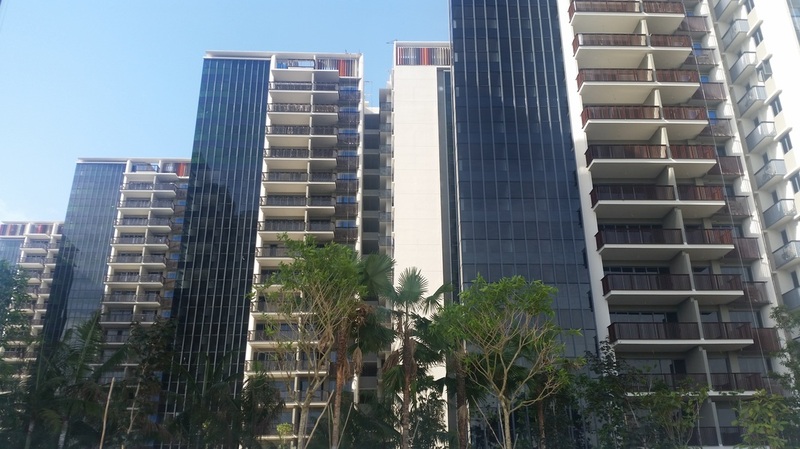 Hurry, call 9386 4036 to arrange for viewing before its sold out! 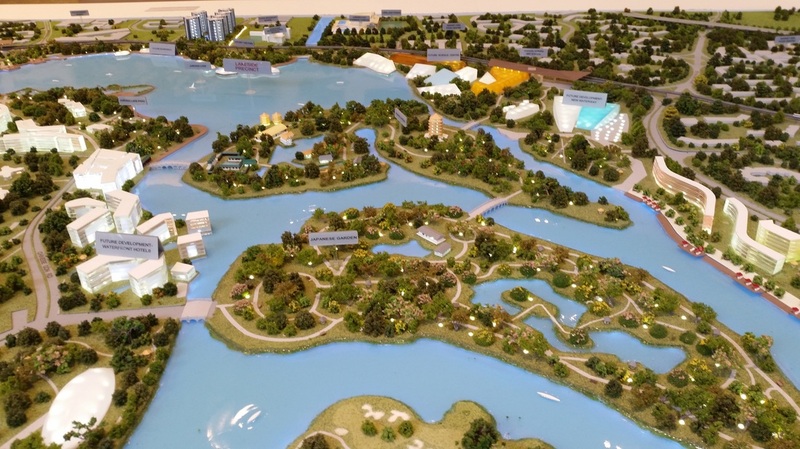 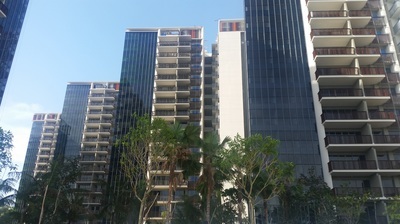 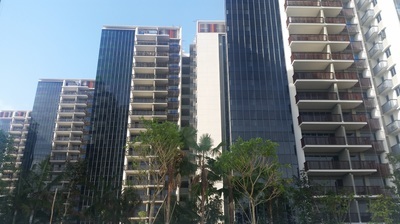 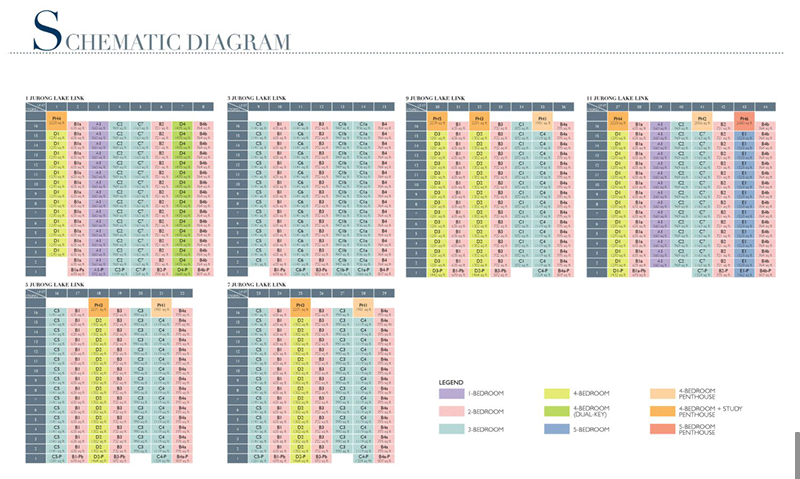 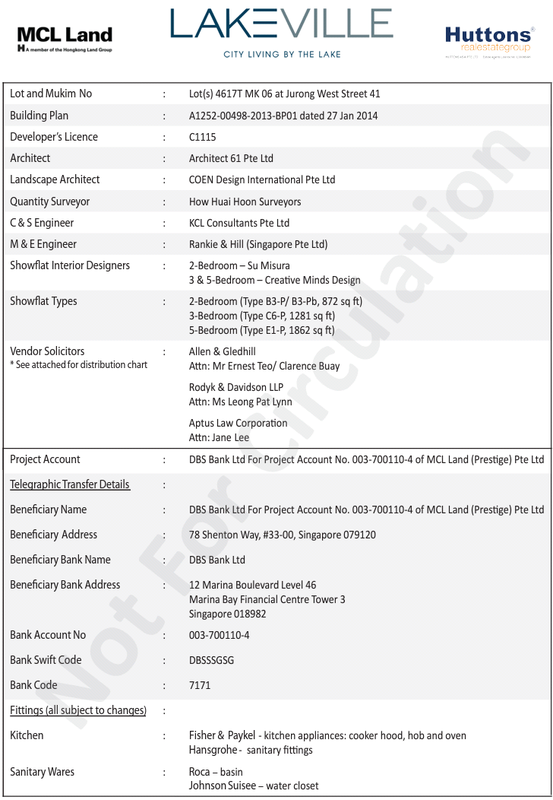 MCL Land is a leading property group in Singapore. 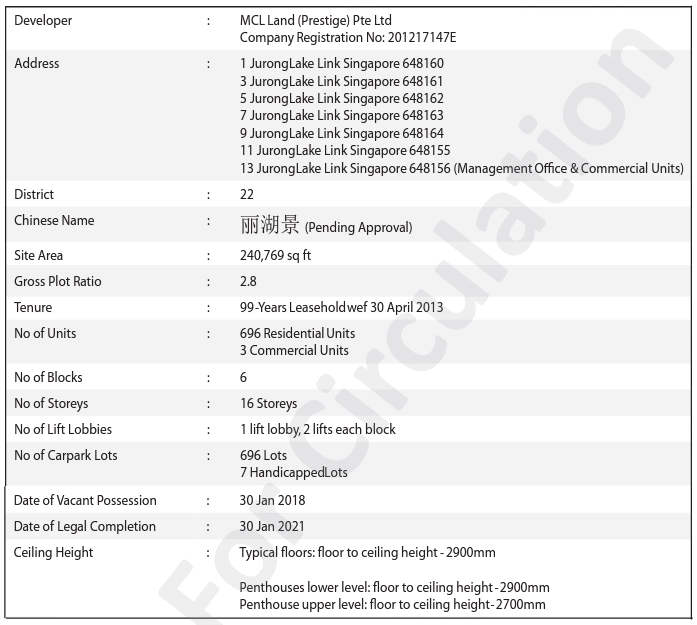 A member of the Jardine Matheson Group under Hongkong Land Holdings, MCL Land has a long track record of building quality homes in Singapore and Malaysia over the last 40 years. 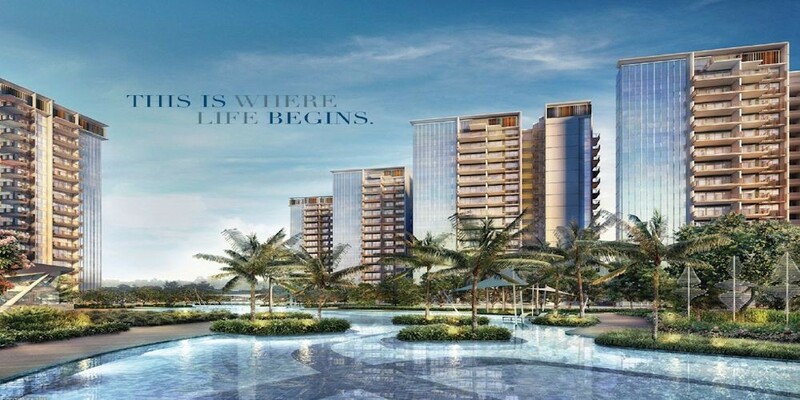 The Group has an extensive portfolio of prime residential properties in Singapore and Malaysia, which are held through more than 20 subsidiaries and associates. Our commitment is to be a premier and reputable property group, equally dedicated to providing excellent customer satisfaction and growing shareholder value. 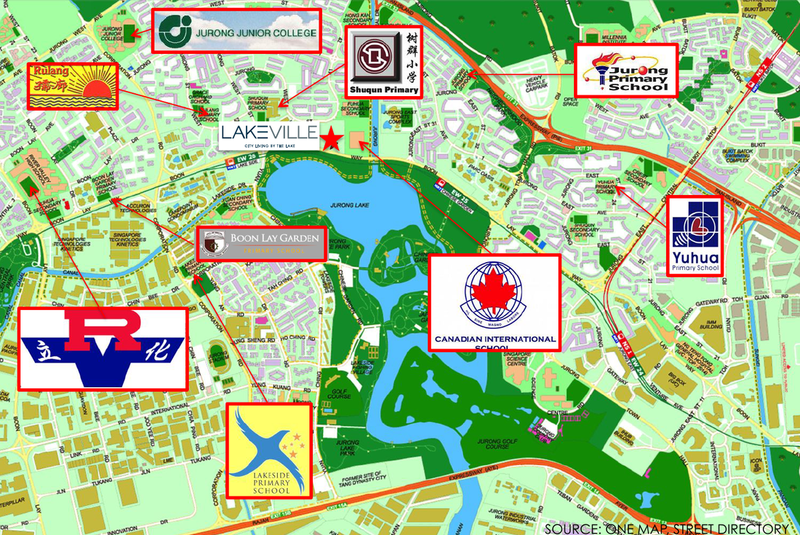 LAKEVille condo - top soon! 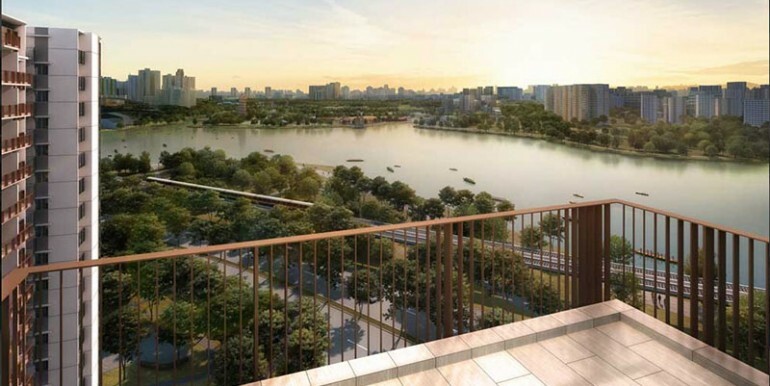 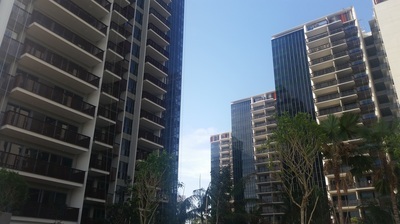 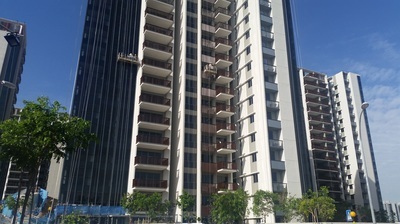 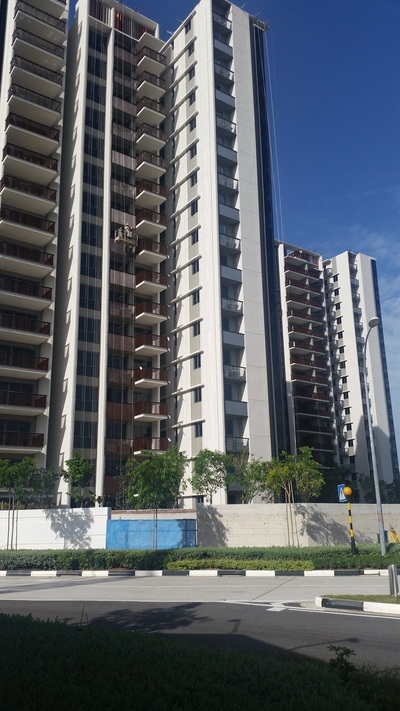 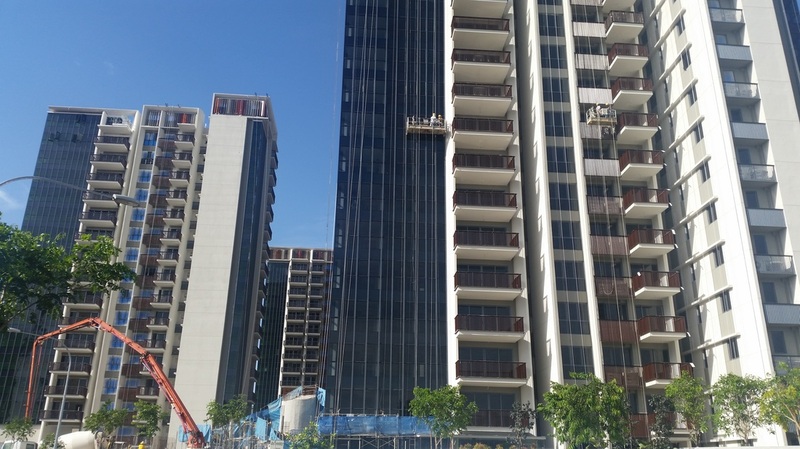 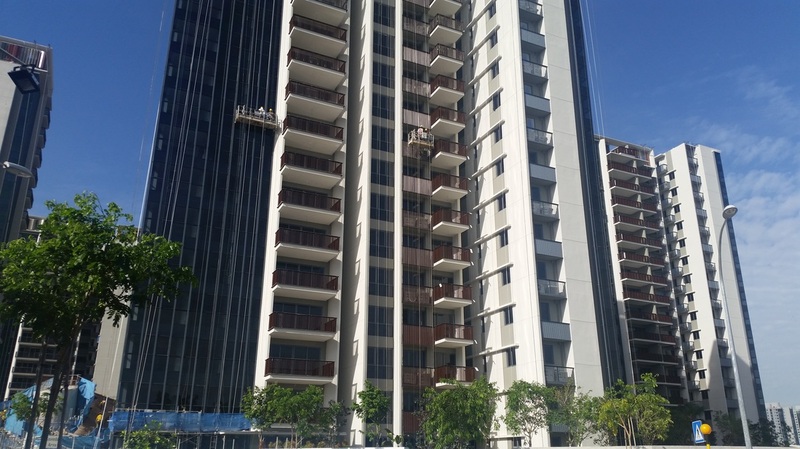 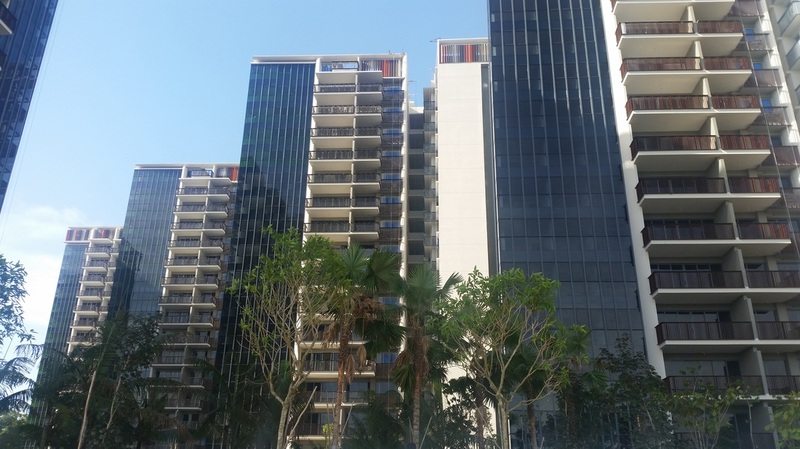 Latest Comprehensive List of New Launch Condo Property, Overseas Property & Good Resale Condo Singapore Lakeville Condo beside Jurong Lake and Canadian International School. 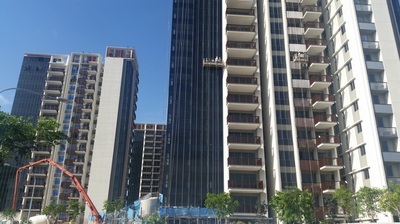 TOP expected end of 2017.